Legalize home distilling! Distilling is a hobby, not a crime! 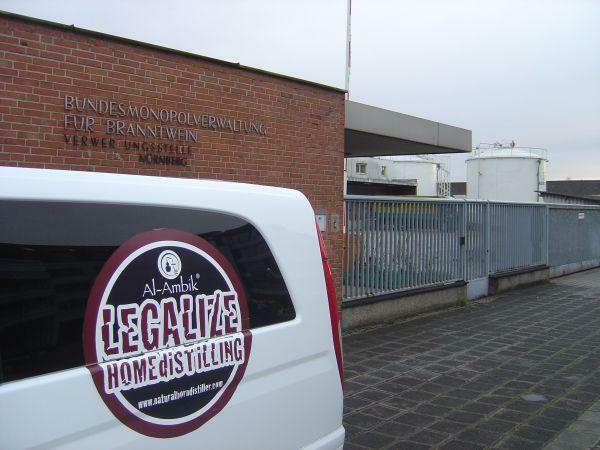 Support us in our fight against the German authorities and the Spirits Monopoly Law, and take a stand on distilling. Together we are strong - we demand the clearance to use private stills with boilers up to 5 liters for alcohol distillation, as well as stills of all sizes for the distillation of essential oils. Here you can see all the T-shirts and stickers you need for the fight against the spirits monopoly.